In 1999, in his young adult book Monster, Walter Dean Myers introduced readers to a young man named Steve Harmon. Steve, sixteen and in prison awaiting a murder trial, is an African American teen and a product of inner city poverty and circumstance. In this story, Steve retells the events leading up to the crime and narrates the prison and courtroom drama while trying to determine if what the prosecutor said about him is true. Is he really a monster? Learn more about this award-winning book that gives a disturbing inside account about a teen struggling to prove to himself that he’s not what everyone thinks him to be. Steve Harmon, a 16-year-old African-American teen from Harlem, is awaiting trial for his role as an accomplice in a drugstore robbery that ended in murder. Before being imprisoned, Steve enjoyed amateur filmmaking and while in confinement decides to write his experience in prison as a movie script. In a movie script format, Steve gives readers an account of the events leading up to the crime. As narrator, director and star of his story, Steve navigates readers through the events of the courtroom and discussions with his attorney. He directs camera angles at various characters in the story from the judge, to witnesses, and to the other teens involved in the crime. Readers are given a front seat to the personal dialogue Steve has with himself through diary entries he tucks in among the script. Steve writes this note to himself, “I want to know who I am. I want to know the road to panic that I took. I want to look at myself a thousand times to look for one true image.” Is Steve innocent of his part in the crime? Readers must wait until the end of the story to find out Steve’s courtroom and personal verdict. Walter Dean Myers writes gritty urban fiction that depicts life for African American teens growing up in inner city neighborhoods. His characters know poverty, war, neglect, and the street life. Using his writing talents, Myers has become the voice for many African American teens and he creates characters to whom they can connect or relate. Myers, also raised in Harlem, recalls his own teen years and the difficulty of rising above the pull of the streets. As a young boy, Myers struggled in school, got into several fights, and found himself in trouble on many occasions. He credits reading and writing as his lifelines. For more recommended fiction by Myers, read reviews of Shooter and Fallen Angels. 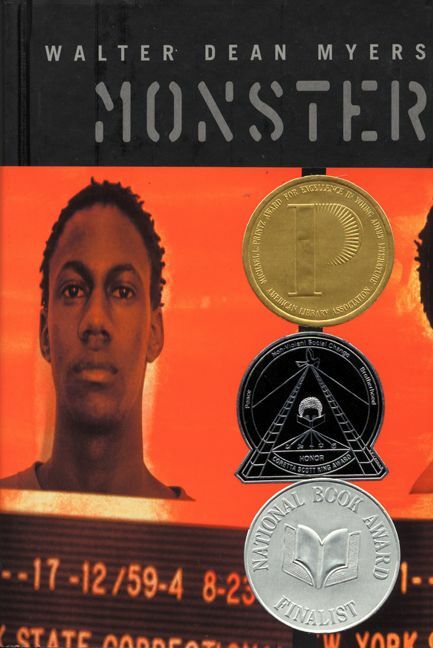 Monster has won several notable awards including the 2000 Michael L. Printz Award, the 2000 Coretta Scott King Honor Book Award and was a 1999 National Book Award Finalist. Monster is also listed on several book lists as a best book for young adults and a best book for reluctant readers. Along with the prestigious awards, Monster has also been the target of several book challenges in school districts across the country. While not listed on the American Library Association's frequently challenged book list, the American Booksellers For Freedom of Expression (ABFFE) has followed Monster's book challenges. One book challenge came from parents in the Blue Valley School District in Kansas who want to challenge the book for the following reasons: "vulgar language, sexual explicitness, and violent imagery that is gratuitously employed." Despite the various book challenges to Monster, Myers continues to write stories that depict the realities of growing up impoverished and in dangerous neighborhoods. He continues to write the stories that many teens want to read. Written in a unique format with a compelling storyline, Monster is guaranteed to engage teen readers. Whether or not Steve is innocent is the big hook in this story. Readers are invested in learning about the crime, the evidence, the testimony, and the other teens involved in order to find out if Steve is innocent or guilty. 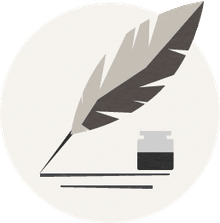 Because the story is written as a movie script, readers will find the actual reading of the story fast and easy to follow. The story gains momentum as little details are revealed about the nature of the crime and Steve’s connection to the other characters involved. Readers will grapple with determining whether Steve is a sympathetic or trustworthy character. The reality that this story could be ripped from the headlines makes it a book that most teens, including struggling readers, will enjoy reading. Walter Dean Myers is a renowned author and all his teen books should be recommended reading. He understands the urban life that some African American teens experience and through his writing he gives them a voice as well as an audience who can better understand their world. Myers's books take on serious issues facing teens such as poverty, drugs, depression, and war and make these topics accessible. His candid approach hasn’t gone unchallenged, but his forty years of longstanding work has not gone unnoticed by his teen readers nor by award committees. Monster is recommended by publishers for ages 14 and up. (Thorndike Press, 2005. ISBN: 9780786273638).